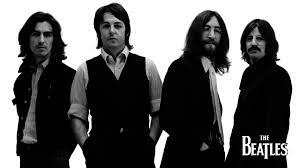 Explore The Beatles – My pick of lesser known album tracks. If you didn’t catch Part 1 of this blog (https://garryabbott.com/2014/05/13/access-the-beatles-part-1/) – here is part two of my attempt to share some of the lesser known album tracks by The Beatles that I think will enrich and enhance people’s appreciation for what they did for western music. My full introduction can be found on part 1 – but just to reiterate a little: for those of you who have a good understanding of the Beatles catalogue, this blog may not be so revelatory, but hey, if you think these songs are cool already, then here’s a good excuse to revisit them! For those of you (I guess quite a lot) who are aware of The Beatles number one records and most popular tunes, I think you may find that some of these songs will surprise you. When I listen to these songs, I hear modern music. I hear the inspirations and experimentations that have shaped generations of artists. I hope you will too. Note – I’m working chronologically following on from the last blog, hence numbers start at ‘6’. I think this is the only song from ‘Beatles for Sale’ I’m going to include here. The album is great, and every song hints at the flexing of musical muscles they were building up at the time, but as a stand-out example, ‘I’m a Loser’ demonstrates the self-awareness that Lennon would go on to use (exploit?) to give his song’s meaning. Meaning is sadly lost from a lot of modern popular music. The Beatles in part started this with a lot of songs that centred around pretty two dimensional love scenarios (She loves you, I want to hold your hand, from me to you etc…). The difference however, is that they were aware of this, and wanted to find better ways to express themselves. In this song, Lennon turns the lens on himself. It stills centre’s around a pretty banal situation (unrequited love), but shifting the focus and giving us hints of the ‘man behind the mask’ begins to introduce a depth of meaning (“although I laugh and I act like a clown, under this mask I am wearing a frown”). Musically the song is, once again, nicely juxtaposed with the theme of the lyrics. There is obvious Bob Dylan influence here, and I fancy you can even hear Lennon trying his best to sound like him (especially in the harmonica section!). Using influences and making them your own is a huge part of a healthy creative process, as evidenced here. ‘I’ve Just Seen a Face’ is another foray into folk/country music, keeping us in theme with the last. It’s more jaunty, goes at a great pace, and goes to show that when they wanted to, The Beatles could do this style just as well as any band who were dedicated to the genre. This is another aspect that I think marked them out – they could cross genre’s with ease, almost like they were playing with them for fun. That shows understanding and talent, but more importantly, leads to catchy little numbers like this one! Musically, I can imagine this song done as a slow ballad, a mid-tempo rock song, or even a fast thrash punk song! I reckon that’s a good clue to knowing when the foundations of your compositions are solid: when you can ‘hear it’ in different modes. Also – check out the introduction! George Harrison’s ‘Think For Yourself’ is a song of firsts. It was his fist none love song, and also the first song to feature a fuzz bass (possibly ever, but don’t quote me on that). Here we see George Harrison start to look inwards and outwards, urging his listeners to make their own mind’s up about the lies and promises of the world, a theme that I guess took him on his spiritual journey and the study of Eastern thinking and spirituality. The vocals are gorgeous. I can’t find a video of the harmonies isolated (though I’m sure that exists somewhere) – but just listen to the precise yet hauntingly slurring slide down the harmonic range accompanying each second line (also check out ‘If I needed someone’ on the same album for another example of this). It conveys a message, and it sounds cool. What’s not to like? Okay, so many people may already know this song, but it’s worth putting it here even if it only reaches one person who hasn’t. I haven’t much to say about Lennon’s melancholic masterpiece that can’t be understood just by listening to it. It’s the kind of song that brings tears to your eyes if you’ve ever lost anything that was dear to you. Lennon had his fair share of that, and even though this could be construed as a love song, I think it is primarily a lament for anything lost. The use of the harpsichord for the solo is inspired, and shows a generosity by The Beatles in orchestration and allowing George Martin (the producer) to contribute. Without this, they couldn’t have developed like they did as their compositions transcended the need for strict format guitar solos and arrangements. As someone who grew up in the nineties and had my modern musical faith restored with the indie/Britpop resurgence that took us into the 21st Century, it is songs like ‘She Said She Said’ by the Beatles that made me wonder why it took so long to come back around. They had done it already. It was like everybody had forgotten and thought they were doing it for the first time. There is a line between rock, rock and roll, pop, and what we might recognise as ‘indie’ music today. 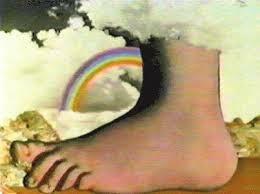 The Beatles walked across all of them. Thanks for dropping by. 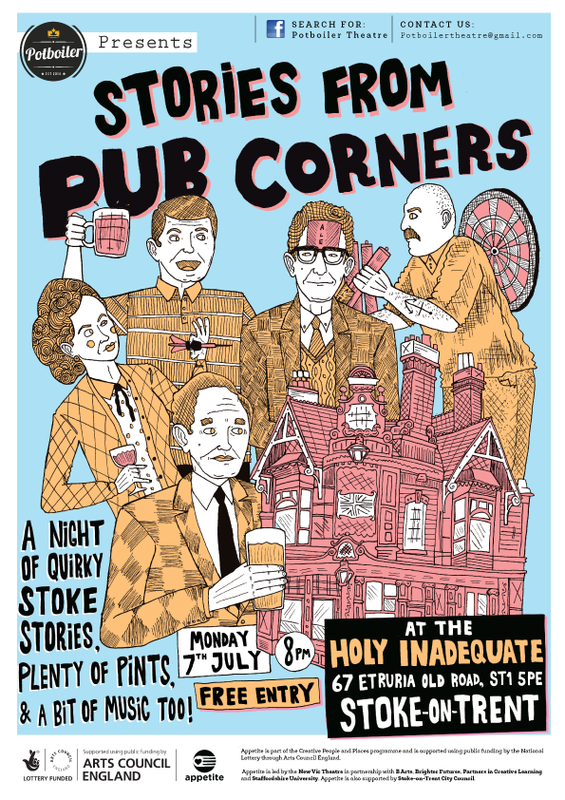 More to follow at a date yet unspecified! Next week I am on holiday, so probably no blog – see you again soon! Access The Beatles. Part 1. Something I haven’t talked about much on here is my love of the Beatles. 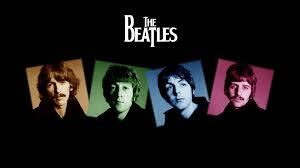 I am a big Beatles fan. It’s not something I externalise much: I don’t buy Beatles duvet’s or plaster my walls with pictures, but I do, and have always, loved their music. They are a big influence on me. One thing I’ve always wanted to do is point out a few tracks that aren’t so well known by none-Beatles fans. Obviously their catalogue is HUGE, but many people (I suspect) are more aware of the major singles and songs that have been covered and popularised by other bands (especially following the ‘1’ album that captured the imagination of a whole new generation some years ago featuring all the re-mastered number 1 singles). Let’s get started then with the first five (I’ll do more if you like it!). I’m working chronologically due to me referring back to album lists! By the way, unless stated otherwise, presume Lennon/McCartney for writing credits. First up, I’m only picking one from the debut album ‘Please Please Me’ – mainly because only half of the album was written by The Beatles, and most of the others are so well known now it would defeat the point of this post! Because it demonstrates (even this early on) the Beatles use of close harmony, and deviation from standard Rock ‘n’ Roll, which leads to the kind of progressive song writing that I will be featuring! Next up, the opening track of ‘With The Beatles’ (second album), and definitely not the only one from this Album to feature here! BUT MY GOD GARRY, WHY?! The opening! The call and response of the chorus vocals which belts straight in, bouncing across the stereo, and then smoothing out into story-verses (all underpinned by the simple yet distinctive descending guitar riff at each section break). From the same album, George Harrison’s first writing credit. EXPLAIN! I DEMAND YOU EXPLAIN! Well, George Harrison must have had a hell of a time getting heard in these early days (even in later years this same problem led to him temporarily leaving the band). But this early outing is a belter, and much opposed to the mop-top ‘whoooo!’ image of the time. It is gritty and angry, almost uncomfortably so, and this is expertly reflected in the arrangement and performance. Don’t you think? Okay, things get a bit confusing with Album release if you’re trying to follow them through Wikipedia – so I’m sticking with UK releases, making this album #3 (feel free to correct me). SO WHADDA YOU GO PICKED THIS ONE FOR EH? A bit like ‘It Won’t Be Long’ – this just kicks straight in with a hook that drags you (or me, or all of us) into the song without a second to realise it. Just imagine this really heavy. There is still a skiffle/folk feel to the interlinking verses, but they just serve to lull you into the screaming chorus (and a brilliantly composed solo, hinting at the clever instrumentation that would come to define later studio work). The next one from A Hard Day’s Night. Well, McCartney is getting into his stride writing the kind of songs here that seem to squeeze you like an emotional sponge. All the while he is singing, “I know this love of mine, will never die, and I love her” – the music is saying something else, something along the lines of “this love thing makes me want to despair for my very existence in anguished contradiction”. Which is brilliant. And then there is the arpeggio classical guitar backing and solo from Harrison, and yet another brilliant run down defining section changes. It’s a sad beauty. I could do this all day – but the blog would be very long, and I already write blogs that are too long which don’t involve 15 minutes or so of music! I’m sure plenty of people will be familiar with these songs, but still, some won’t, and it’s nice to give the less well-known tracks an airing, even if it is on my modest little blog. I am a writer and musician from Staffordshire UK, currently touting my first published eBook ‘The Dimension Scales and Other Stories’ which can be found in these places. Please have a little look! … and KOBO, NOOK and Barnes & Noble too! (just search for the title!). 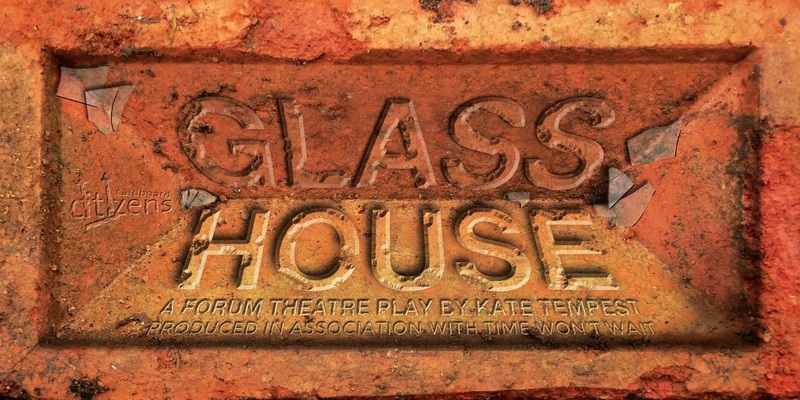 Review: ‘Glasshouse’ A forum theatre play by Kate Tempest – performed by Cardboard Citizens. I came up to Manchester last night to watch ‘Glasshouse’: a play by Kate Tempest, performed by ‘Cardboard Citizens’ theatre company at the Z-arts centre in Hulme. In the blurb the play was described as ‘forum theatre’, which roughly means that after the performance the audience are invited to discuss the character’s choices in the narrative and then improvise alternative versions of key scenes. My main reason for coming to see this play was because of the author. I recently watched Kate Tempest live performing her epic poem ‘Brand New Ancients’ along to music, and I was blown away. So, having the chance to see one of her plays was enough for me to get over the ‘interactive audience’ element which I admit, I was slightly dreading. I also wanted to experience a modern play. I’ve been to the theatre lots, but not to watch anything contemporary and it’s an area I’m interested in learning more about as a writer and as a cultural consumer. I also wanted to challenge my preconceived notions of modern ‘workshop’ theatre being cringe-worthy and overacted: a notion that has probably been sown via the League of Gentlemen’s ‘Legs Akimbo’ acting troupe sketches. Thankfully, the actors were good – very good in fact. The play itself dealt with a chain of events in the lives of the three protagonists: a young woman, her mother, and her mother’s partner. I don’t want to discuss the plot here because you should go and see it, but broadly it was about a suburban family in crisis, under pressure from the world, themselves and each other, the choices they make and the consequences of their actions. It was gritty in that it dealt with verbal and physical domestic abuse, substance abuse, homelessness, helplessness, sexuality and inner city depravation. That may sound extremely miserable, but it was also funny and warm in places, mostly thanks to the characters being so well-drawn and Tempest’s effortless and accurate blending of comedy and tragedy. We were treated to several key scenes from the chain of events, each retold and elaborated on by the main characters in turn. This meant we saw a few of the central scenes three times, each subtlety different as the narrator character represented events from their point of view. This meant that we zipped around in time, and as the characters got their turn, gaps were filled in that contextualised and added to the previous renditions. The scenes and scenery changed rapidly, with excellent use of the minimal sliding-board set, props and costumes, pushed and pulled into place by the performers as they moved through the story, adding to the sandbox-like approach to interactive theatre, keeping the transitions as kinetic and dynamic as the performance itself. Each character introduced and intersected their version of events in soliloquy to the audience, bouncing along in Tempest’s inimitable style with elements of rhyme and prose touching at the edges and making a whole that is greater. When it was over, we were left digesting three versions of events, three outlooks and representations – let alone our own. I liked it. It was good. Go see it. And then, after the main performance and a short break, there was the forum theatre element. Before this the director had already started to ask us questions, to gauge opinion and such like, but that was only as a show of hands, a mumble of agreement, a few nodding heads or an occasional comment – now we were being asked to actually come on stage and improvise. This was different. Luckily for me, the audience mostly consisted of two other theatre groups, so I was content and undisturbed in my silent observation of their valiant efforts. As we re-watched key scenes from a democratically voted-for character (the daughter), anyone could shout ‘stop!’ and replace the actor in the scene. The other actors would then respond in character to the volunteer’s efforts – allowing us to see what could have, might have, maybe should have been. It was extremely interesting to watch and I can only applaud those that gave it a go. Of course it had its awkward moments, and also some extremely funny ones. But on the whole it worked as a social experiment more so than an exploration of drama. The central message was that we can make different choices to change our lives, that our reactions are not always a good reflection of ourselves and have real consequences. Many of the contributors approached the scenes by being open, honest, compassionate and respectful to the other characters, and then abandoning the conflict as soon as possible (often by just walking off set when they had said their piece). This is why I say it wasn’t an experiment in drama (well-meaning resolutions don’t make for great plays) and more like group therapy – in a good way. It made a lot more sense when the director told us that they normally perform in prisons and hostels, where I guess many people are living through the consequences of their actions and/or the circumstances they find themselves in. But for a generally neutral audience member like myself, it was still a fascinating concept none the less. All in all, I enjoyed it. My faith in modern theatre now has a foundation to be built upon where before I only had assumptions, and my admiration for Kate Tempest’s work has been further bolstered. In short, I have been entertained, challenged and inspired – and there’s not enough of that around at present, so it was a welcome experience. I would recommend it. It’s on tonight again if you are in the area, and I’ve included any links I can find below for you to seek it out in other locations.